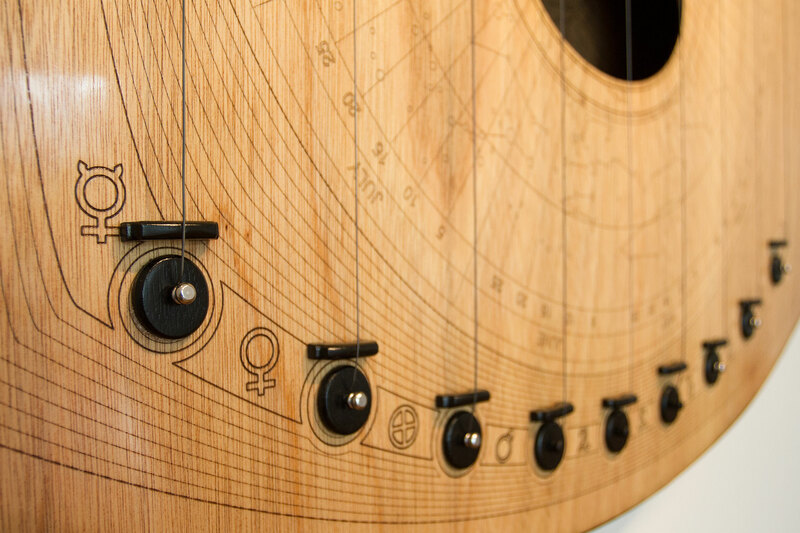 The Orrery Harp is an autonomous musical instrument designed to play a composition based on the movements of planetary bodies in motion around the sun. 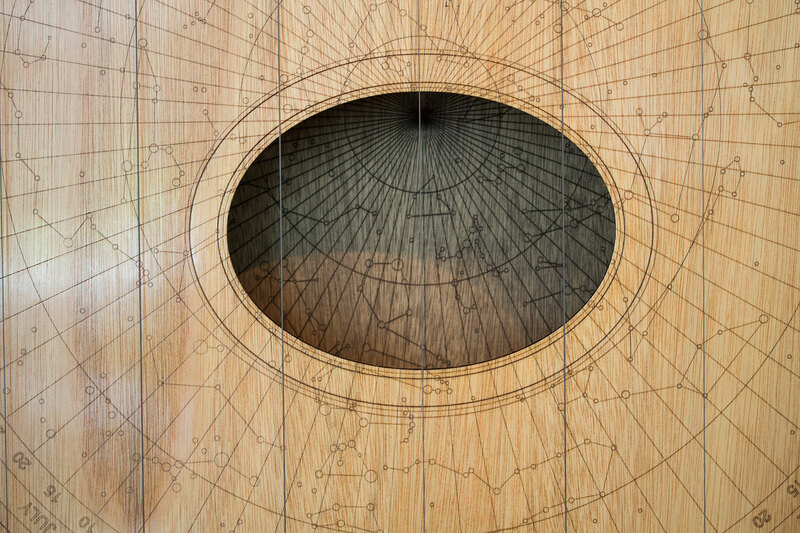 The instrument includes nine strings representing each planet in our solar system, including the dwarf planet, Pluto. 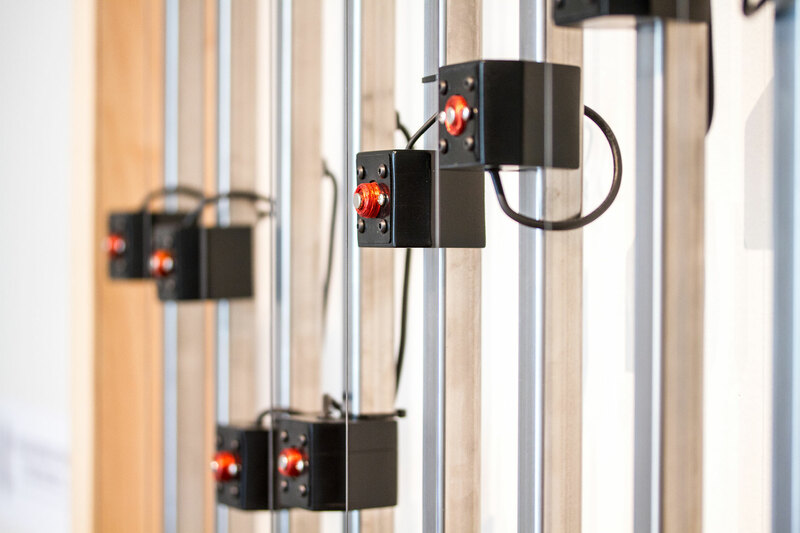 Frequency is determined by the rotational period of a given planet (day), while rhythm is determined by the planet’s period of orbit around the sun (year). 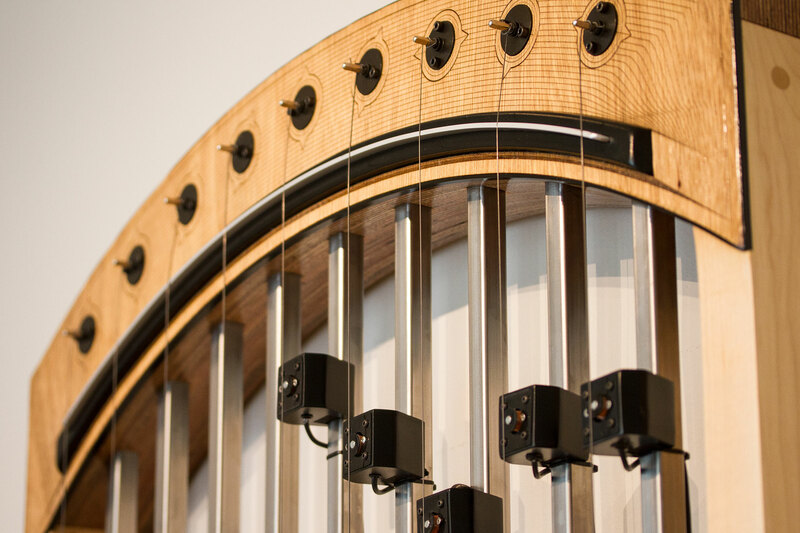 Each string is activated by an electromagnetic pulse to induce harmonic resonance as a planet reaches its starting point, or yearly cycle. 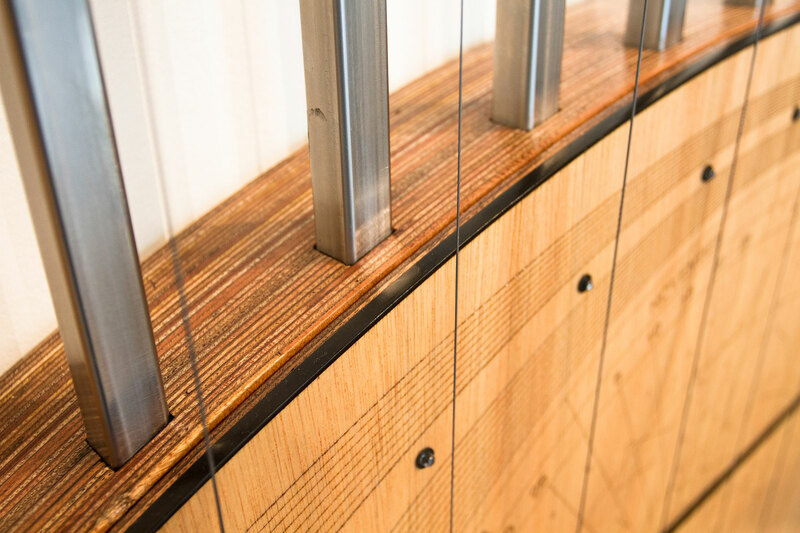 One Earth year is scaled to 36.52 seconds on the Orrery Harp. 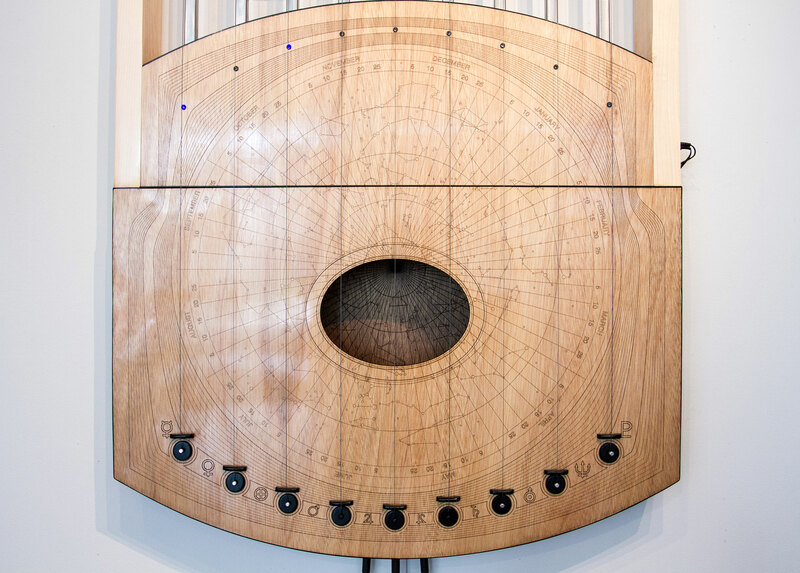 The Orrery Harp explores the relationships between sound and astrophysics. 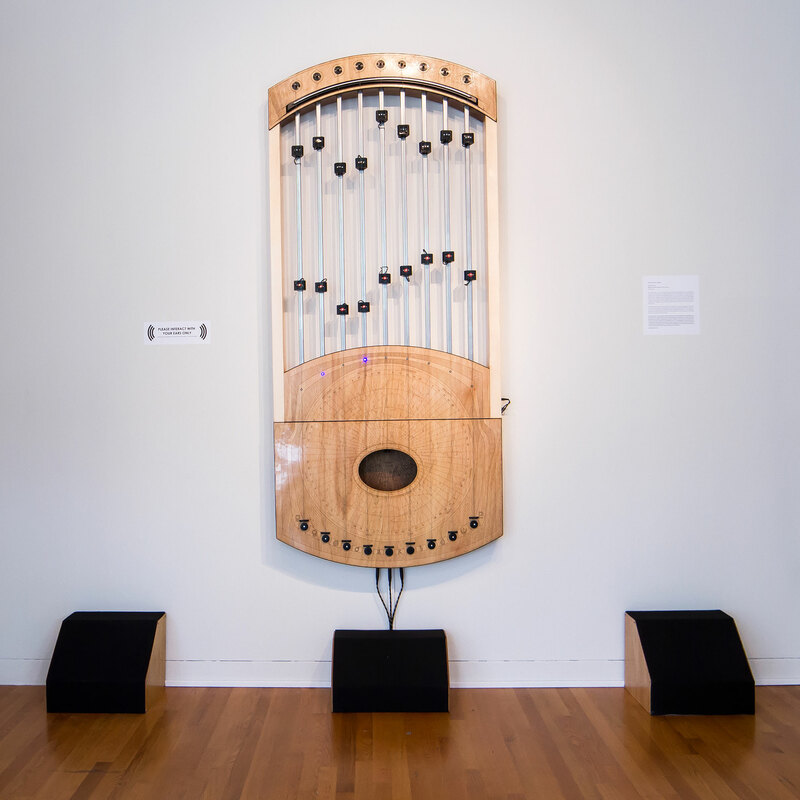 This work intersects the methodology of scientific techniques known as sonification with the possibilities of artistic interpretation by mapping cosmological data into audible frequencies. 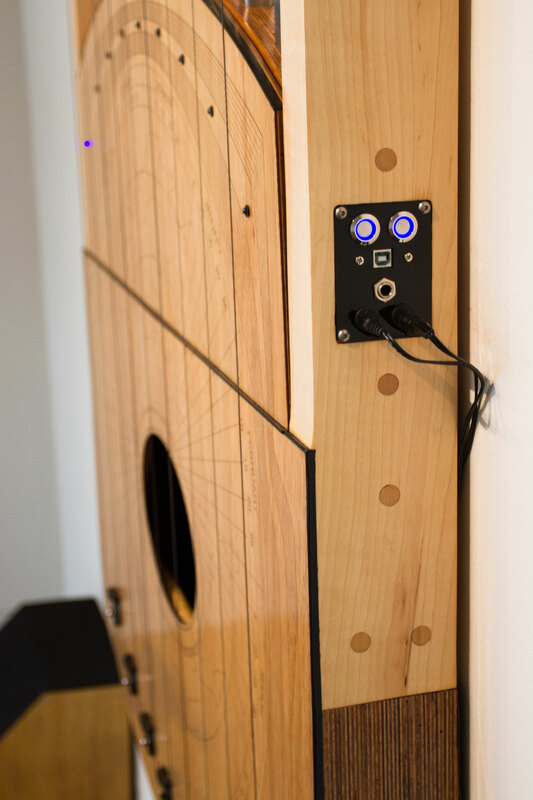 As the planetary composition begins, time and space are transformed into a sonic experience revealing patterns in nature among the cosmos.